How Does Invisalign and Invisalign Teen Work? 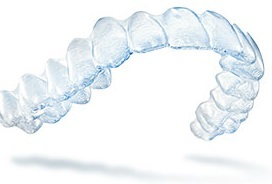 You may be somewhat familiar with how the Invisalign® and Invisalign Teen® treatment works, but we’d like to take you through each step of the treatment process, from consultation to confident smile. Whether you’re considering treatment for yourself or someone else, knowing more about the entire process can help you be more confident in your decision to choose Invisalign or Invisalign Teen and enjoy a better smile every day. Your treatment begins after you schedule your initial consultation with Dr. Curtis at 714-990-5414. This is an important medical and financial decision. That's why choosing the right doctor and the right treatment plan is so essential. Keep in mind that not all orthodontists work with Invisalign, so it's important to find a doctor who has received the proper Invisalign training and can truly evaluate your needs and determine how Invisalign can help you. is will determine if Invisalign is right for you. Dr. Curtis will take x-rays, pictures and impressions of your teeth, which Invisalign will use to create a digital 3-D image of them. From these images, Dr. Curtis will map out a precise treatment plan, including the exact movements of your teeth. Using the ClinCheck software, Dr. Curtis will be able to show you a virtual representation of how your teeth will move with each stage of treatment. Approximately every two to three weeks, you will begin wearing a new set of aligners, advancing you to the next stage of your treatment. To monitor your progress, you will also have occasional checkups with Dr. Curtis, usually only every eight to ten weeks. For best results and a timely outcome, you should wear your aligners for 20 to 22 hours per day, throughout your entire treatment. At every stage, you will be able to see how much closer you are to having the smile that reflects the real you. Once your treatment is complete, protect the beautiful new smile you have invested in. This is accomplished through the use of orthodontic retainers. There are many types of retainers available and based on your unique situation, Dr. Curtis will discuss what type is right for you.